Everyone who owns a dog often dreams of going on epic trips with their four-legged friend as co-pilot. Imagine all the places you and your loyal Shiba Inu can go together! However, sometimes jet-setting with your dog isn't always “pawsible,” because you don't know the intricate ins and outs of traveling with your pet. Now with more destinations around the world opening up to fur babies, traveling with your Shiba Inu is becoming much more feasible. 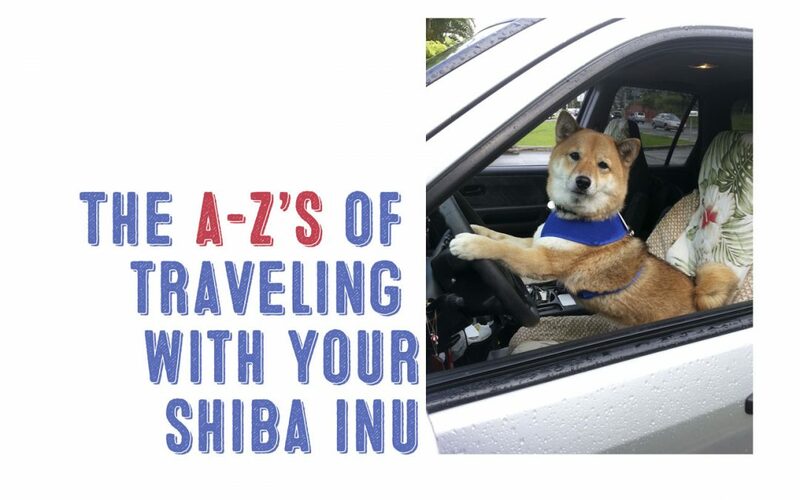 Keep on reading the A-Z's of traveling with your Shiba Inu so that you can make every vacation together a memorable adventure! When you plan on going anywhere with your dog, you obviously don't simply let them have the run of the place, right? The same goes when traveling—whether you are simply driving one state over or flying 14 hours away. You need to make sure that your dog has been adequately trained to handle travel, as well as being responsive to your commands. Is the plane nonstop or is there a layover? Does the airplane allow for your Shiba Inu to sit with you? Do you need medical insurance, medication, or proof of shots? Can you walk your pet? Are they allowed out of the crate? There are so many questions to ask yourself. However, once you have laid out the itinerary, you can begin to work with your dog to make sure they are comfortable throughout the entire trip. It's best to travel only with dogs that are obedient and temperamentally sound. 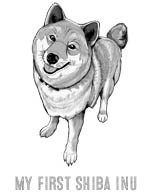 Thus, your Shiba Inu needs to be well-socialized and capable of adapting to various situations. Shiba Inus that are escape artists, or prone to anxiety or aggression would not be good travel companions. If you plan on moving around with him/her often, you should be taking obedience lessons and making sure your companion is going to be quiet and accustomed to car rides, sitting in a crate, or remaining calm in a crowded airplane cabin. You also need to lay some ground rules about whether or not you want people to approach your pet or not. It's important to understand that how you behave will also determine how your dog reacts to what is happening. 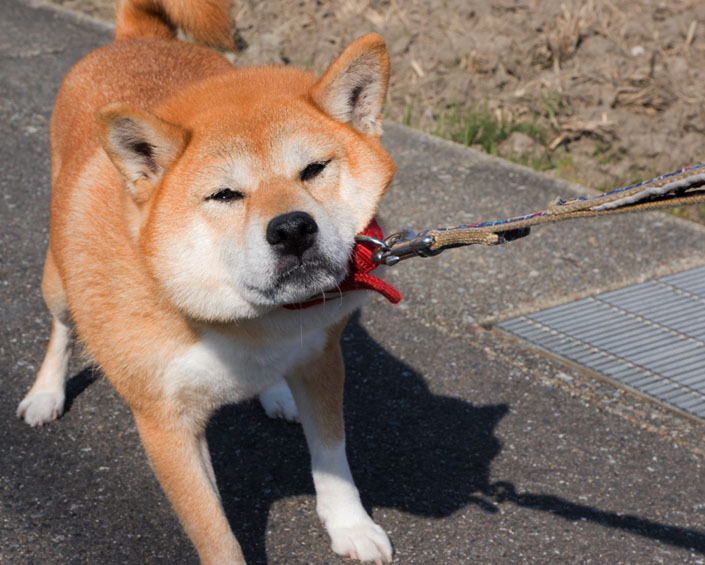 Shiba Inus are not the greatest candidates for being off-leash unless very well trained. However, it's still important to include off leash training in your training regime starting from puppy hood. When traveling with your Shiba Inu, it's always best to keep them securely attached to leashes at all times. However, there may be times and opportunities when it's safe to have your Shiba off leash. If your Shiba Inu is already trained with this valuable skill, your vacation together will be all the more enjoyable for the both of you. Remember though, even though your Shiba Inu is trained, only let them off leash in safe situations and settings. Be sure to research if the buses, trains, and other forms of public transportation allow for dogs to come aboard. When traveling internationally, some transportation options are okay with dogs of certain sizes. Should your destination allow for dogs to entire mass transit areas, be sure that your Shiba Inu has been trained to handle the congestion and confusion of major public transportation hubs. You need to make sure that you are giving your Shiba Inu plenty of time to stretch his or her legs and get fresh air. Choose routes that have a number of rest stops for you to take breaks. Not only is this healthier for your dog, you also can relieve some of the stress of traveling by going for a walk together and getting some fresh air. Don't skimp on the essentials for your Shiba. Be sure to pack all the things that are necessary, such as water, food, treats, toys, waste bags, pee pads, a harness and leash, bowls, pet identification, and any medical documentation that you might need. However, you don't need to carry this around yourself! There are plenty of traveling harnesses designed for dogs that have carabiners and the like to attach traveling equipment. Give your Shiba Inu a job this vacation! When you travel, the best way to ensure that your furry companion is going to be well-behaved is to stick to routine. Walk, play, and feed your Shiba around the same times you usually would—if possible. This will mitigate any extra stress. It's best to avoid changing your pet's diet over the course of your trip. All airline operators have their own policies about what size animals can be to enter the cabin as well as how big a dog can be that is stored in the cargo bay. Always double-check (no, triple-check) that your Shiba Inu is going to be allowed onboard the plan at the scheduled depature time. 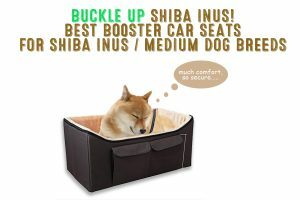 You are going to need an airplane-approved dog carrier that is a decent size for your Shiba Inu. Some flight operators might allow for your Shiba Inu to join you in the cabin—but because the breed is considered “medium-sized,” not all are going to be lenient. Therefore, you need to make sure that your Shiba Inu can not only tolerate being crated but that they have enough room inside to get up and move around. Must adhere to other rules dictated by each individual airline. Don't forget to attach your name, address, and telephone number (both home and cell phone) to the carrier, just in case something happens along the way. 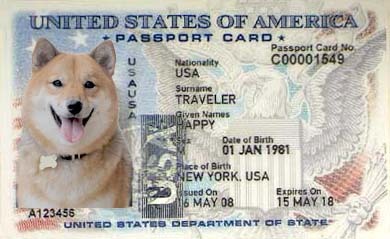 It's also recommended to bring along a current photograph of your Shiba Inu in the event the two of you get separated. Crates, air and hotel surcharges, toys, food, and the unexpected vet bills that might be accrued along the way, traveling with a dog is never as easy as one would hope. Be sure to be have extra money to put out for this adventure. Along with paying extra travel fees to have your dog accompany you, you also have to think about enrolling him/her into some pet medical/travel insurance just in case something happens while you are abroad. If you plan on traveling internationally with your Shiba Inu, there are some places or states (like Japan or Hawaii) that have extremely strict quarantine requirements for rabies. Since these places haven't have any outbreaks and want to keep it that way, the best way to show that your doggo is rabies free and fully vaccinated is to have a pet passport. You should also contact your veterinarian to give you an international health certificate for traveling. Be sure to have this appointment before 30 days of traveling, as the certificate and passport can take some time to make. On the morning of your journey, avoid feeding your dog. Make sure that they have done their business prior to heading out to the airport early. You should also wake up early enough to ensure that your dog has gotten plenty of exercise. 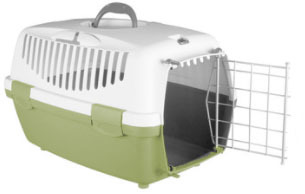 Once you arrive at the airport, you should be prepared to keep your companion inside their crate at all times. So, it'd be wise to let them out once again before checking your bags to ensure they have voided completed. Many airports do not allow for animals to be removed from their kennel/crate if they are a certain size. Furthermore, you are going to need a harness and leash if you do plan on letting your Shiba Inu roam a little. In US airports, it is required by law for there to be “pet relief areas” provided for people with service animals. Thankfully, this doesn't restrict your furry friend for making use of these areas either. Larger airports will have more than one relief area, but there is usually only one per terminal. Pet Friendly Travel has also put together a comprehensive list of airports that have pet-friendly facilities in the United States. Finding airports outside of the US that are dog-friendly is a bit more challenging. Even when the temperature outside is mild enough, a car can become a dangerous place. Overheating is but one issue. Your Shiba Inu can become the victim of abduction. Or a concerned citizen may crack the window of your car to save your Shiba Inu. You should be planning rest stops on a regular basis. Write it into your itinerary instead of trying to beat the clock. You and your Shiba should be getting out of the car once in a while to use the bathroom, stretch your legs, and explore the new area. This is will keep everyone happy, calm, and comfortable. It's best to keep your Shiba Inu in the back seat, no matter how much they want to be shotgun. There have been car accidents where the pet sitting in the front seat was ejected through the windshield, because they weren't properly secured within the vehicle. Also, air bags can do severe damage to a dog. Keep your pet safe by having them take the back seat. Create a checklist for yourself. Do you have your pet first-aid kit? A leash, harness, and outerwear? Do you have the crate? Pee pads? Blankets? For wherever you are going and whatever you would use on a normal day with your dog is something that should be packed up. Always have food and water with you in the car. The heat and stress is going to make your furry pal very thirsty. 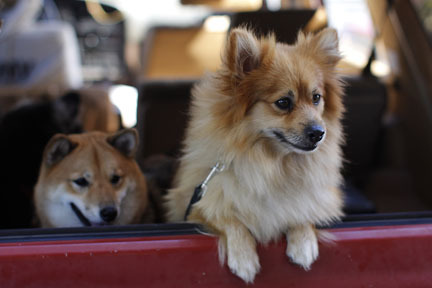 Dogs can be prone to carsickness, even when they have been trained to ride in vehicles since puppyhood. One way to prevent your Shiba from getting sick during the ride is to have the windows partially open for airflow and to have frequent walks. If your Shiba Inu is known to get very sick in the car, you can always ask your vet for some remedies such as anti-nausea medication to use. If you had to find all the lodgings and attractions that are dog-friendly manually, you'd probably go a bit bonkers. Fortunately, there are websites to help you find the best place for you and your furry companion at the most reasonable price. Kimpton Hotels – 59 properties in the United States. There are pet beds, pet parks, restaurants, and more all available for you and your companion. Ace Hotel – While there's only five in the US, 1 branch in London and another in Panama are pet-friendly. Loews Loves Pets – Chains can be found in 18 cities throughout the US and Canada. There are amenities available for pets in the rooms, and your can even feed your pet vet-and-chef approved room service meals. La Quinta – Only 4 out of the 830 US locations don't allow pets. All the others allow two dogs or cats per room with no extra charge. Best Western – There are over 1,600 Best Western hotels that allow you to bring pets. Four Seasons – Not all are pet-friendly, so double-check your destination first. However, the ones that do allow dogs and cats know how to treat them right. Dogfriendly.com – the site also has extensive guides on airports, events, and campgrounds that are all dog-friendly. Website also includes Canada. Petfriendlyrestaurants.com – not only will you find restaurants, there are listings for hotels, B&Bs, campgrounds, and vacation rentals all separated by state. Website also includes Canada. BringFido.com – probably the most well-known, BringFido is the ultimate resource for finding hotels, restaurants, activities, events, and much more with just a keyword. The best part? It's GLOBAL. Also, while it might seem like a longshot, another recommendation would be to try using Airbnb. The site does include an animal-friendly filter when you search. It could be a wonderful opportunity for booking a location that allows you to meet up with other animal lovers. Therefore, if you do have to leave your Shiba Inu alone, at least they might have another animal friend to spend their time with! When staying at a hotel or vacation rental, just because they are pet-friendly does not mean the location is a pet-lovin' free-for-all. There are always rules you have to follow. Always be sure to call ahead or read up on the hotel's website or listing about the rules and regulations of having an animal with you. Just because a hotel allows dogs doesn't mean it's a completely dog-friendly place. Double-check on the fees, the policy for leaving pets alone, and if there are any breed or size restrictions you should be aware of. Also, ask the representative to send you the information via email so you have the policy in writing (in case anything happens). Some hotels and rentals will not allow for you dog to be left alone. In this event, you should either be prepared to bring your Shibe with you everywhere you go or hire a pet-sitter. Obviously, if you're going to hire a pet-sitter...wouldn't it had been better to just leave your pet at home? Stay on the first floor, especially if your dog isn't used to stairs. This is also essential, because you don't want to disturb the person below. Keep your pet clean. Be sure to wipe of mud and dirt from your dog's paws. If anything gets stained, try your best to remove the discoloration yourself. Use the “do not disturb” sign. If you have to go out for a moment and leave your Shiba Inu alone, hang the “do not disturb” sign to prevent any misunderstandings when the cleaners accidentally pop in to make your bed. Walk your Shiba Inu in the approved areas. Some places around a hotel are just not meant to be peed on. Lastly, I wanted to share with you some cool destinations to bring your furry companion. These locations either have something special for dogs or are just open and free! Washington, USA – the state is basically a gigantic lawn with historic buildings and pristine woods. Drink wine while your Shiba Inu “hunts”. It's perfect. Oslo, Norway – a city of castles and dog-lovers. You can't go wrong. Barcelona, Spain – a very dog-friendly city with a number of opportunities for dogs to sit with you or meet other dogs on terraces. Vermont, USA – You and your Shiba Inu can enjoy the autumn foliage around West Rutland and stay at the Paw House Inn. Helsinki, Finland – Another dog-friendly city that is perfect for doggos that can't handle the heat. Tunari National Park, Bolivia – Does your Shiba Inu like mountain climbing? Ontario, Canada – Leashed dogs are allowed to walk around and enjoy the same stunning views of Niagara as their humans. Phuket, Thailand – Dog-friendly hotels are everywhere here. Monterrey, Mexico – There's rivers and the famous Rufino Tamayo dog park to visit! Crissy Field, San Francisco, USA – This is a very popular spot for people and dogs to enjoy their time together. But regardless of where you go in California, dogs are usually always welcome. The Grand Canyon – Your pal needs to be leashed, but so what? It's the Grand Canyon! Traveling with your doggo is going to feel like a dream come true. Using these tips and tricks for travel training, finding animal-friendly lodgings, restaurants, and destinations, as well as purchasing the best gear for your Shiba Inu, your vacation is really just a plane ticket or car rental away!